This is a beautiful design. The background of the fabric is aubergine colour, which has a large scattered chrysanthem design. Great for any special occasion. Great to wear at home. Great for the Beach, Pool on holiday or at home. 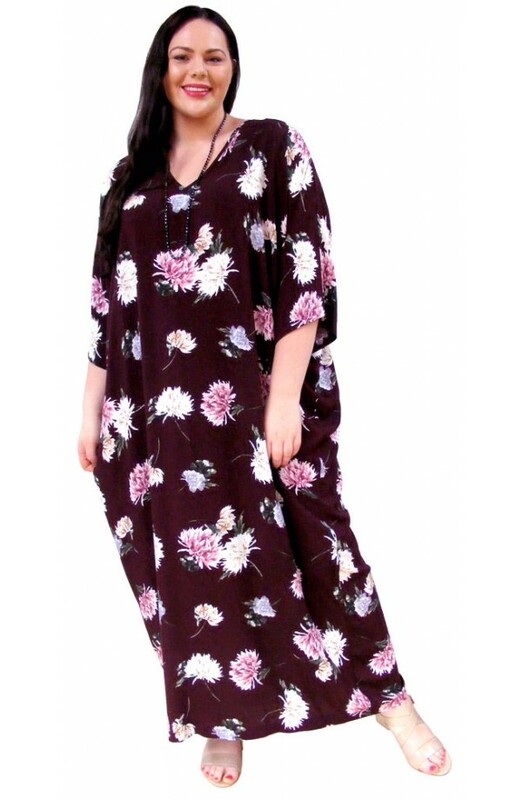 The one loose fitting free-size is suitable for UK dress sizes 14 to 28. Larger or smaller sizes available as "bespoke" items upon request. 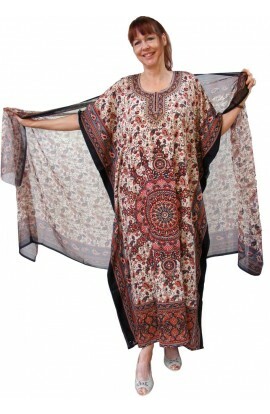 Email: kaftans@btconnect.com or telephone 01476 550000 for the Bespoke service.